National Accreditation Board for Hospitals & Healthcare Providers (NABH) is a constituent board of Quality Council of India (QCI), set up to establish and operate accreditation programme for healthcare organisations. The board is structured to cater to much desired needs of the consumers and to set benchmarks for the progress of health industry in India. 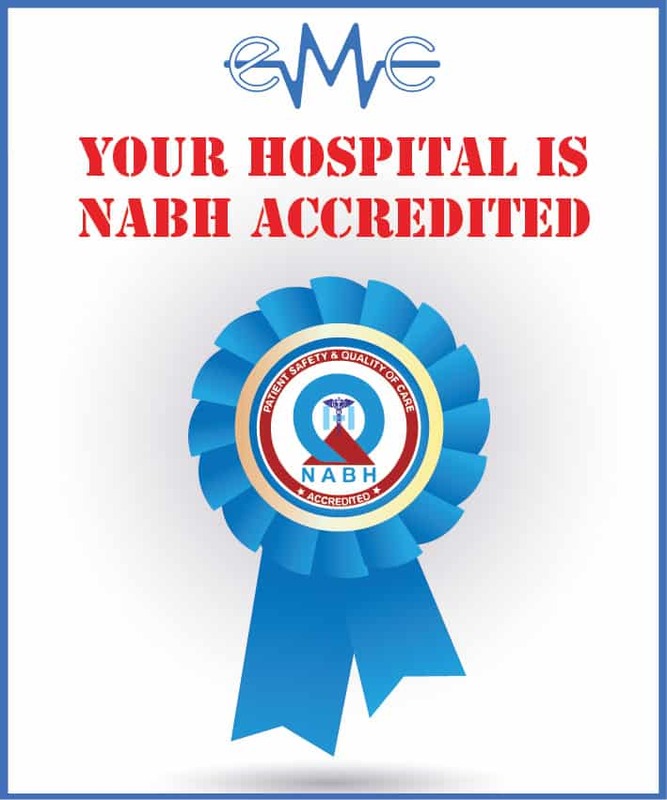 NABH accreditation is a voluntary process opted by the healthcare provider and accreditation is given after a stringent procedure, includinto ensure that the healthcare provider follows the high standards set by the board in all aspects of patient care delivery. Once accredited, hospitals are bound to continually maintain and improve their performance in the set standards, an activity that is regularly audited by the NABH board.